A Veiled Vacay: The Liberties and Limitations of Covering Up — Anna Akbari, Ph.D. I grew up with my Irish Catholic mother in the Midwest, but genetically, I am also half-Persian. My hair, eyes, and olive skin tone are all dark, and while I still manage to somehow resemble my mother (according to most people who know us), the shape of my eyes and broad cheeks give away my Middle Eastern heritage to knowing observers. I’m not a particularly modest dresser, but had I been born in Iran, the veil would have become part of my everyday existence – also forcing me to surrender my love of impractical footwear and Spandex. A veil (also referred to as a chador, hijab, burqa, and many other region-specific terms) is the most ubiquitous symbol of female Muslim dress (though whether it’s cultural or religious is an on-going debate), and its roots stem from a call for “modesty.” Of course modesty is more than mere appearance – one’s behavior, manners, and speech must also align. Some women embrace the art of mystery and use the partial concealment imposed by the veil as a method of shifting one’s erogenous zones and highlighting facial features – which may explain why Iranians get seven times more nose jobs than Americans (and it’s a point of pride). Whether used to conceal or highlight, the veil remains one of the most controversial and misunderstood garments. 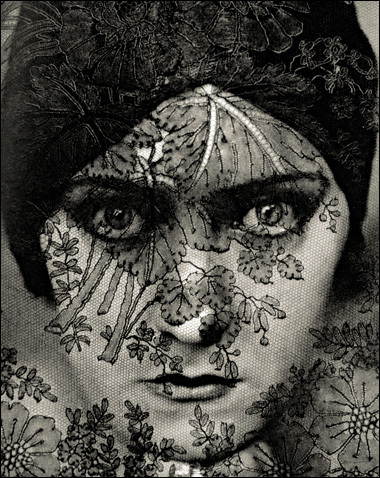 Westerners, however, also enthusiastically embrace veiling – but in a different color and context: The wedding veil was originally intended to ward off evil spirits and came to also represent purity and chastity – qualities that seem to align with all varieties of veiling (though perhaps replace “evil spirits” with “male gaze”). Seem like nose jobs and veiling are hypocritical? Well, most white-veiled modern brides are "as pure as New York snow” – so we’ll call it a wash.
From Muslim veils to Mormon underwear, modesty is often associated with religion. But what about secular modesty? One former “NYC career woman” committed to nine months of visual modesty: she covered her hair, didn’t wear makeup, and wore non-body conscious clothing that fully covered her. Why? Not because she didn’t want to “look good,” but because she didn’t want the quest to look beautiful to define her or dominate her thinking and self-perception. Thus, she found covering up to be liberating, not oppressive. This is not unlike Ayaan Hirsi Ali’s description of the sensation she felt as a child as she experimented with veiling: “It had a thrill to it, a sensuous feeling. It made me feel powerful: underneath this screen lay a previously unsuspected, but potentially lethal femininity. I was unique…It made me feel like an individual. It sent out a message of superiority.” Even the Western fashion world seems to be in an era of “more is more” when it comes to covering the body (though leave it to Lady Gaga to be the radical dissenter). 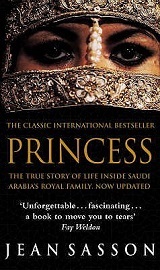 Learn: Gain a better understanding of what it’s like to wear the veil by reading, Princess , a Saudi princess’s account of life behind the veil, and watch this short video about Saudi Arabian women and the culture of veiling. Wear: Sartorially embrace modesty with a beach cover-up that leaves the best bits to the imagination. Do you ever feel you need a vacation from being on display? Do you feel limited or liberated when you cover up?